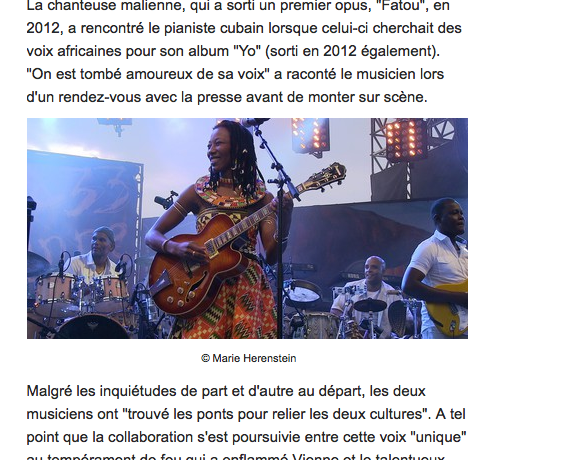 Youssou Ndour, Taj Mahal, Bassakou Kouyaké, Fatoumata Diawara, Roberto Fonseca... the African Night at Jazz à Vienne Festival brought together the best of African music to the audience gathered at the Thèatre Anthique. All expectation were more than fullfilled: color, fusion, energy. The best of Africa, Cuba and America together in such a special night.